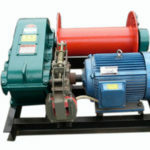 High speed winch is one kind of construction winch, which can be electrically powered, hydraulically powered or diesel engine powered, that is to say, there are high speed electric winch, high speed hydraulic winch and diesel winch; among these power modes, electric power type is more commonly used. Slow speed winch is a piece of lifting equipment which is mainly used to lift heavy materials vertically, or haul loads horizontally or at an angle. The winch drum is driven by man power or mechanical power to let in or out the cable to haul the heavy weights. 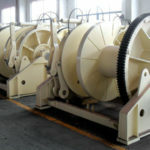 The slow speed electric winch generally consists of electric motor, coupling, brake, gear box and drum, and all of them are installed on the frame. 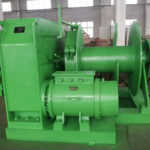 Ellsen Machinery Equipment Company, as a professional and reputable winch supplier in China, has been in this industrial for a very long time and has exported both high speed and slow speed construction winches to many different regions and countries, and the winch products have been highly recognized by the clients. 1. Speaking of JK series high speed winch, this series of electric winches are applied for lifting and moving heavy objects in construction and mining areas, and civil engineering and small equipment installation in factories. To suit different requirements, they are used for lifting materials or pulling heavy loads during construction process, used as main lifting system on cranes, and they are also used as special lifting winches for derrick, gantry and lifting trolleys. 2. JKL series fast speed electric piling winch, also known as the series of hand control high speed free rolling winch, is mainly used for vertical lifting heavy loads on construction site, in factory, mining area and port, especially applicable to free fall punching and piling operations of dock, bridge and construction foundation engineering. 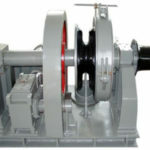 The winch structure features main shaft rotating which is known as rotary shaft. 3. 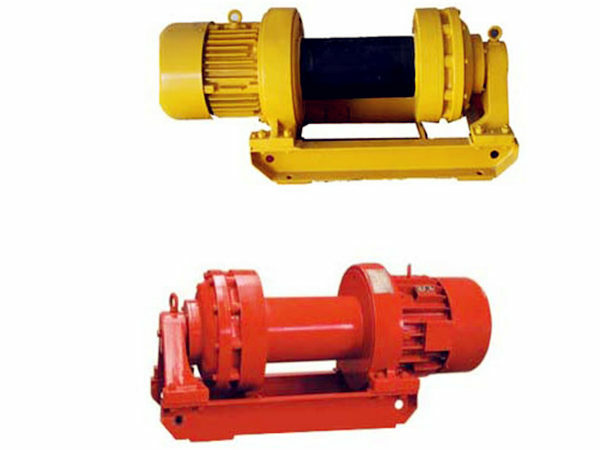 JKD series winch, known as JKD electric planetary winch, is a new type of winch that adopts planetary gearing with small teeth difference. It features reasonable design, compact structure, smooth running, convenient operation, easy maintenance, low working noise and long service life etc. It is an ideal replacement of traditional winch solutions. The electric winches are widely applied for lifting and installing in many industries including construction, port, bride and metallurgy etc. Want to get the winch with competitive price? 1. JM series slow speed electric winch is mainly used for lifting, loading, unloading and pulling heavy loads and materials, including mounting and dismounting of various kinds of large and medium-sized concrete structure, steel structure and machinery equipment. 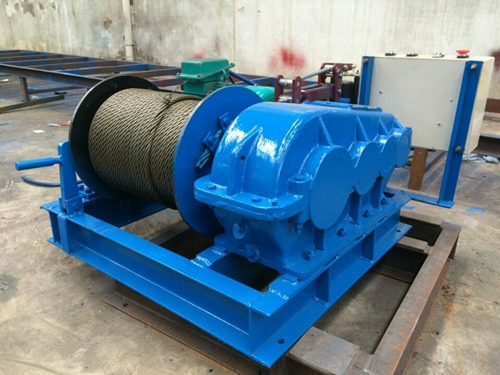 The low speed winch is widely applied in construction and installation company, mining area, civil engineering, and installation of various types of bridges, ports, docks and so on. 2. 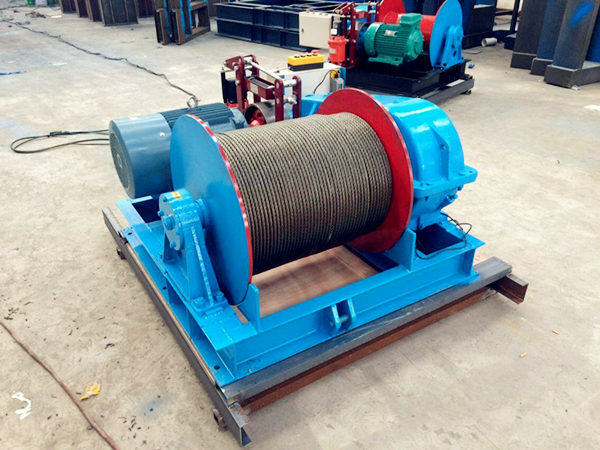 JMM friction type electric winch is generally applied for long-distance pulling of different kinds of large and super large concrete, steel structure and steel cable and rope, and also applied for large-range lifting or hoisting. The friction type winches feature constant speed and stable lifting. It is applicable to engineering construction of dock, bridge and port etc, and equipment installation of large factories and mines and power engineering. 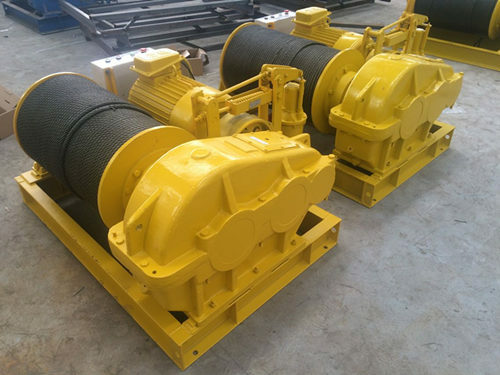 Except the above three types of high speed electric winches, Ellsen also provides variable speed winch and customized winch used in mining industry. Variable speed winches refer to the winches with the speeds which can be adjusted as needed. 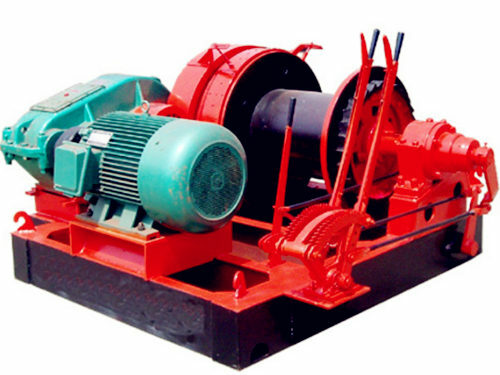 Customized electric mine winch (also called shaft sinking electric winch) refers to the electric winch used in various mining areas, and it is installed inside or outside of the mine according to work needs. The mines mainly include coal and different types of metal mines such as copper mine, silver mine, iron mine, zinc mine and so on. The winch is used to lift and pull the mines. The mining winches can be designed with or without explosion-proof protection to suit for different work requirements. High speed electric winch is widely used in workshop, warehouse, construction place, port and many kinds of production line. It is a kind of important and necessary equipment applied for lifting and transporting heavy materials and goods. With the electric winch, the work efficiency and conditions can be greatly boosted and improved. As its name suggests, high speed winch has the fast hoisting speed and it is used to lift and move weight materials, for example used for installation and dis-assembly of mechanical equipment. 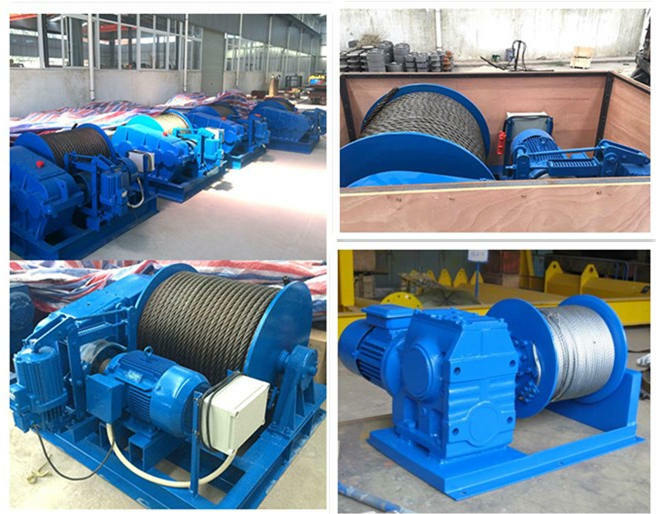 The rated load and rope capacity of the high speed winches can be customized to suit various special requirements. With our careful and excellent design, our winches can function well during the service life and requires easy and less maintenance, which can save time and money for the clients. When you plan to buy a winch for your material handling, it is worth selecting a quality and reliable winch to ensure the efficient and safe operations for your facility. It is necessary to know well about your work needs, that is to say, you should be clear about what you use the winch for and where you will use it. 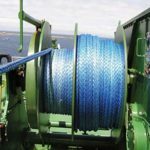 It is suggested to do some research on the winch and winch suppliers before the purchase and to cooperate with a reliable and reputable winch supplier. Price is also an important factor to consider when you are planning on getting a winch, it is wise to choose the winch with reasonable price and good quality, but not only take the price into consideration. 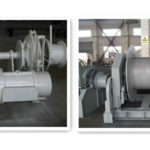 Ellsen is a professional winch manufacturer with good reputation in China, we provide various types of winches for lifting, lowering or pulling materials in different working places, including construction site, water conservancy project, mine area, dock and so on. Whatever your requirements on the winch are, you can just get the suitable winch solution from our company. Our careful design of winches ensures easier operation which can reduce risks and accidents. Contact us to get detailed information on winch for sale and select the perfect one for your material handling work. 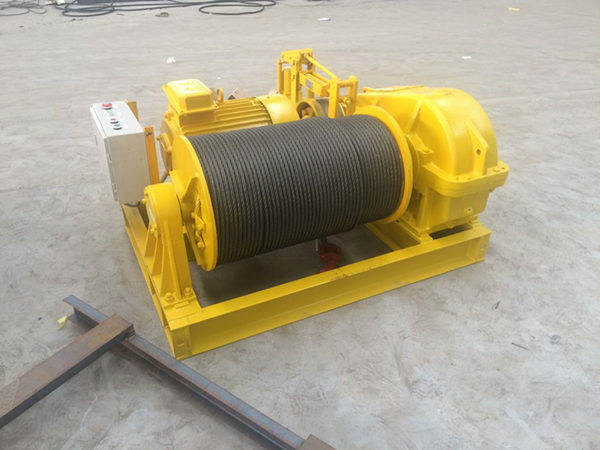 Application: electric slow speed winch is mainly used for heavy loads lifting and lowering and large hoisting project; this kind of winch is applicable to construction and installing corporation, civil engineering in mining area and factories which require the winch has good speed regulation performance and can lower at very slow speed. 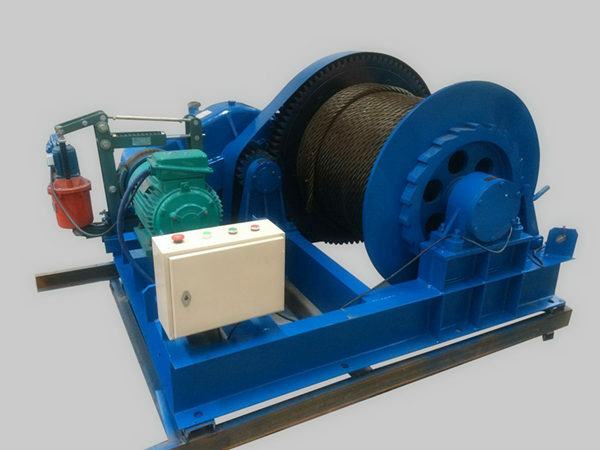 The electric high speed winch is generally used for vertical lifting, horizontal dragging or hoisting loads along the slope on working occasions including construction site, railway line, mining area, bridge engineering. Working Speed: the rated working speed of slow speed winches is generally in the range of 10-18m/min, and that of high speed winches is in the range of 19-34m/min, and we provide custom option for our customers to suit the special requirements. 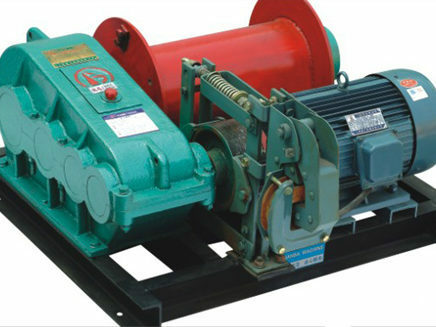 Winch model: the models of Ellsen high speed electric winch include JK series winch, JKL series winch and JKD series winch; the slow speed electric winch models mainly consist of JM series winch and JMM friction type winch. Both the fast speed electric winch and slow speed winch supplied by us are with good working performance. Price: generally speaking, since the slow speed electric winches have better speed regulation performance than quick winches, the price of the former is higher than that of the latter.